Proper fast bowlers are programmed to hate those they bowl at, or at least that was the popular supposition during the glory years of the 1970s and '80s, when Dennis Lillee, Jeff Thomson, Michael Holding, Andy Roberts, Imran Khan and Malcolm Marshall bestrode the game like assassins. To have seen Lillee, as I did at the WACA, charge in with red ball in hand and malice in his eyes; and to then watch that ball whizzing past Derek Randall's right ear, maybe two or three times an over, is not to witness an act of love. 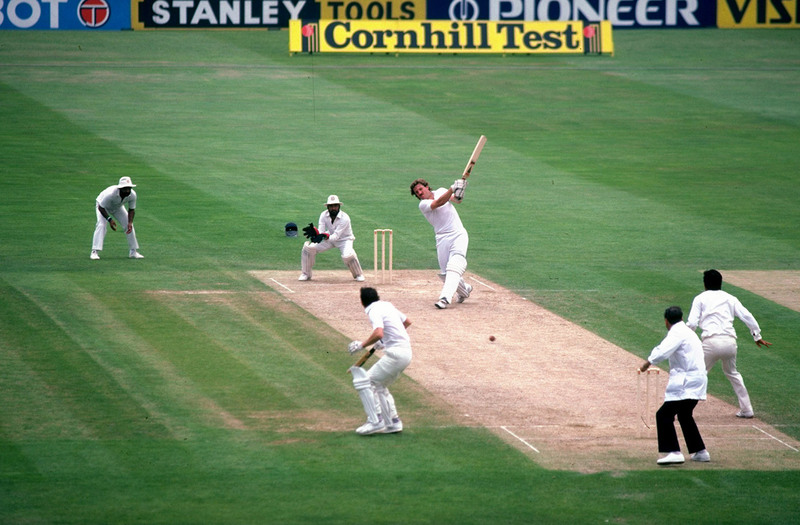 To see Lillee follow through also, to within a few feet of the batsman, call him all manner of unmentionables, then walk back to his mark and repeat the whole process again - well, most of us could be forgiven for thinking that is not love either. Which means it must be hate. And yet, the day's play over, Lillee would be the first to switch off hostilities and offer his opponents a bon mot and a beer, suggesting that such hatred, if that is what it was, was something that could be summoned at will and then left at the boundary rope after play. Randall never accepted such disposability of emotion, and never accepted a drink from people he claimed "have been trying to knock my block off all day". He preferred to think that they hated him, and he used it as motivation. It worked too. In three successive innings at the WACA over ten days in 1982, with Lillee constantly in his ear and at his throat, he scored 92, 78 and 115. I offer this preamble to show how ambiguous and fluid emotion can be on a cricket field. This series in the Cricket Monthly is called Hate to Love, which suggests there is a large spectrum of emotion sparked by players and events in what has been called "the Gentleman's Game". But is it a conflict, and a powerful one at that, or is it a journey that begins in one camp and ends in the other, such as from here to eternity? I am not sure, though we should know more, or maybe not, by the end. The only player I can think of stirring both these emotions within me, possibly simultaneously (and even to the point where they might trade places), is one whom I played both with and against - Ian Botham. Loving Ian, or Beefy as I will refer to him, is easy, I hear you cry, especially for team-mates who over a career probably owed him much. His derring-do, his bulletproof sense of self-belief and his all-round brilliance were assets for any team. As such, these are things everyone can admire and love about him. As are those mighty Ashes feats in 1981, entrenched as they are in English folklore. 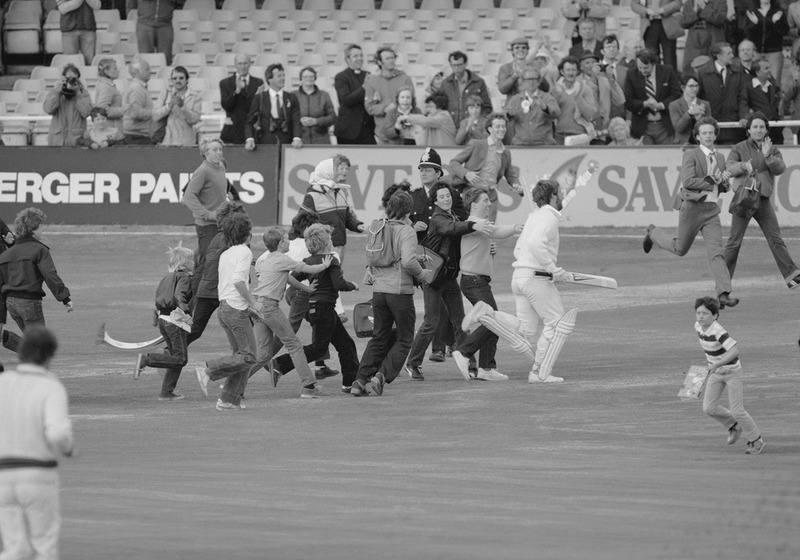 I remember clearly that smash-and-grab at Headingley. It coincided with an Essex match I was playing at Southend. We were going well but you could tell something special was afoot on the telly, since everyone in the sponsors' tents had chosen to watch the small screen rather than the live cricket before them. I've never seen anything like it, before or since. All we could see were people's backs as their attention was drawn elsewhere. So, there was Beefy stealing our thunder from 220 miles away - well, you've got to hate a man for that. Envy, a close cousin of hate, is an emotion never far from any performance-related activity within a team context. 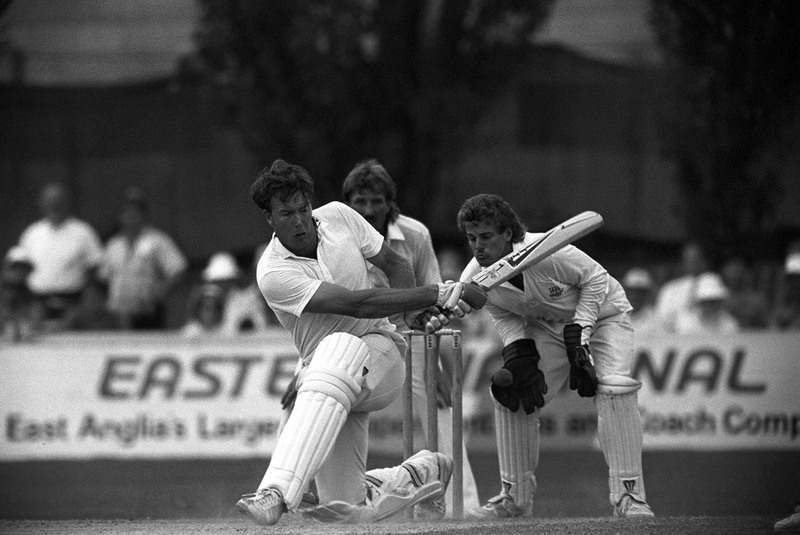 It can steal up in a trice, too, as it did when Beefy belted India around for 208 at The Oval in 1982. It was my third Test for England and I'd been picked amid a national question, at least in the British media: Is he the next Ian Botham? I could have told them the answer, an unequivocal no, if they'd asked me directly, but for some reason that was far too logical and boring. This was a rhetorical question they needed to satisfy themselves, even if they could have made a decent stab at the answer, on the balance of probabilities, long before a ball had been bowled or struck. Back to Beefy's double-hundred against India, an innings in which he struck the ball harder than I have ever seen on a cricket pitch. I'd been in decent touch that season with the bat for Cambridge, but this was batting - cricket, showmanship - on another level. It was, I imagine, like when Britain's hip young guitar players of the 1960s first heard Jimi Hendrix. Their collective thoughts would have been - what is the point of carrying on? Watching Beefy take India apart that day made me sick with envy, for I knew I would never be able to bat like that - the harnessing of such chutzpah, power and skill was beyond me. It also rendered that national question very redundant, as well as my own relevance to anything much. After all, if allrounders were meant to be like this, and I was patently not, then obviously I was a fraud. Which is where hate begins to make itself felt in another way - as self-loathing. If it sounds deep, cricket, more than most sports, does lend itself to long periods of reflection and analysis. The other reason to hate Beefy is that he never seemed thus afflicted. Not for him the self-doubt that gnawed away at the rest of us. Even when evidence of his own fallibility sat in his lap he refused to acknowledge its presence. To a university boy like me this level of self-denial did not seem healthy. But it is how he ticked along and he did that a lot better than the rest of us. Then there is use of the hate word to connote the very opposite of its usual meaning, such as when Geoff Cook and I, planning a rugby weekend in Dublin with Beefy, first went to watch him play football for Scunthorpe United Reserves. His usual position was centre-half but he persuaded them to play him up front, whereupon he promptly scored a hat-trick. "Don't you just hate him," said Cooky as the third goal went in, and we both agreed that, with him possessing such a sickening level of talent, we probably did. The next day we arrived at a small airport to board the single-prop aircraft that was to take us to Dublin. "I was going to fly us over," said Beefy, "but I couldn't get enough hours in the logbook, so I've got a proper pilot to do it." At that point, having feared the worst with an over-confident, run-scoring, wicket-taking, goal-poaching Beefy at the controls, it is fair to say that we had never loved him more. Can a Pakistani hold anything but outright hate for Sir Ian?